If you don’t already have English or Maths GCSE at A*-C, you can join a range of courses appropriate to your current skills and goals. Our tutors are friendly, supportive and have helped hundreds of people gain qualifications. So, if you want to brush up your skills and get qualified, improve your skills for work or to know how to help your child with homework, sign up now. We will help you to decide the right course to join. If you want to join a GCSE course, you must already have either a grade D (or 4) at GCSE or a Level 2 Functional Skills qualification. We will support you through a check of your current skills to ensure you are ready to start. If you need more preparation, our tutors will discuss other course options to get you ready to start GCSE. Our GCSE courses only run once a year, from September to June, but our Functional Skills courses take new learners at the start of each new 12 week course. If you’re more of a beginner, we have First Steps courses to help you move forward at a gentler pace. Contact us for more information. 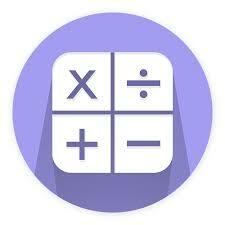 We now offer an online Functional Skills Maths course. You can study for both Levels 1 and 2 online, but with the full support of our friendly, approachable tutors. The course is FREE for anyone who does not already have a C or above in GCSE or O level, CSE Grade 1, or A-level Grade E or above. Before joining the course, you’ll need to undergo an Initial Assessment. This allows us to see what level you might be working towards, and which areas are weaker than others. These assessments will take place at our hub in Oakham Enterprise Park. The exam will also take place here at the end of your course. If you’re interested, please call 01572 758283 or email joanna.edwards@peterborough.ac.uk. We use online resources, as well as classroom activities, to offer Blended Learning to those with good IT skills, including the support of a tutor to help you plan your work and help with those difficult topics. Most of your work will be completed at home, however some workshops are included which you will need to attend at the college – but not on a weekly basis. If you’d like to know more, please contact us and ask to speak to Tracey Bedford.